Do you wish that you could transfer the patient from the bed to a wheel chair or take the patient to the toilet with multiple times with minimal effort and without the awkward heavy lifting? Do you wish to eliminate the risk of back pain and injury while lifting the disabled or seniors? 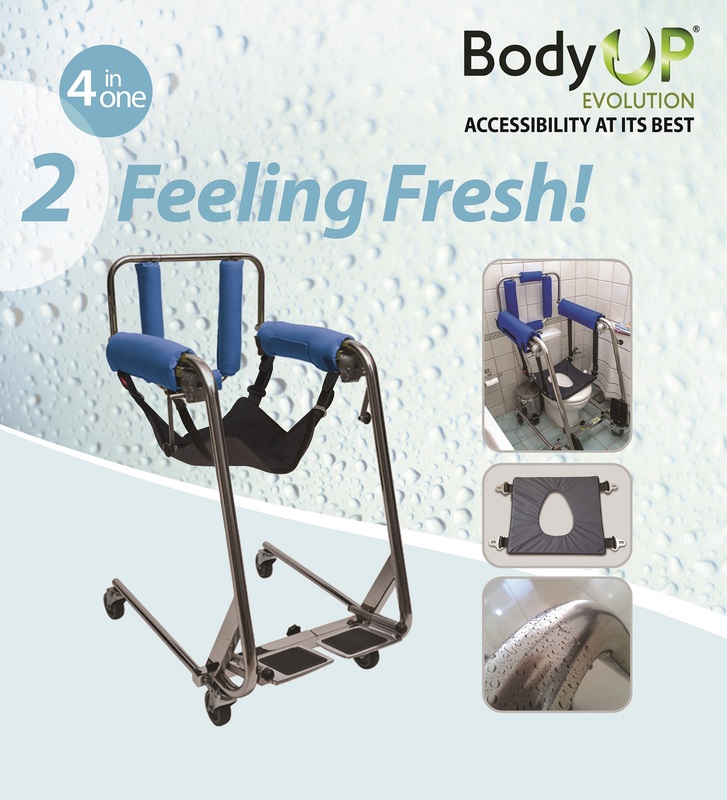 You need a Disability Aid like the BodyUp Evolution lifting wheel chair. Would you like to take your loved one for a ride in the car or to visit the clinic? 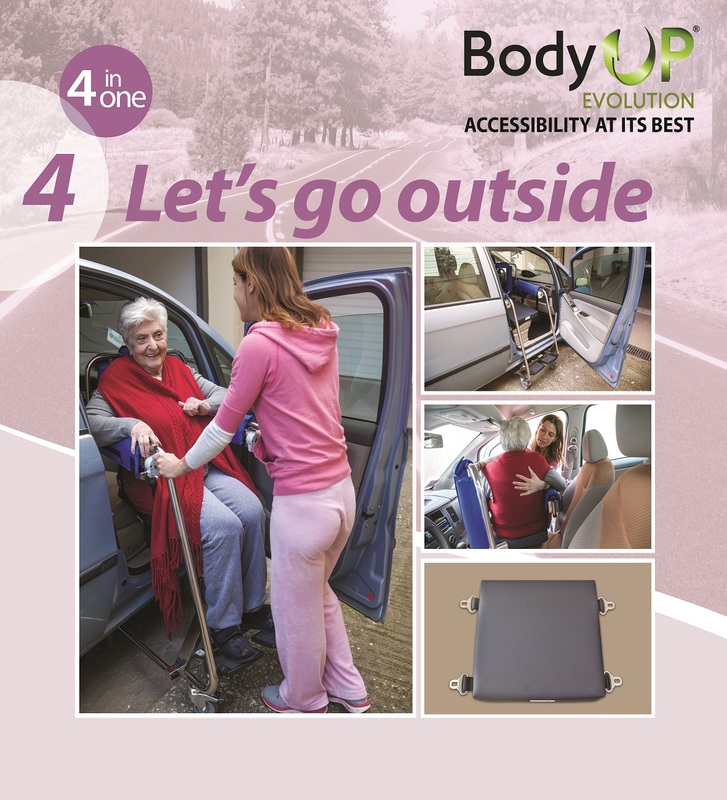 BodyUp Evolution is the right Mobility Aids choice to make it a pleasant experience. Come visit our Booth #322 & experience the convenience and usability of BodyUp Evolution. The right choice to make "caring for your loved one" a pleasant experience! Caring for people and seniors with mobility problems is a very difficult and demanding task. It is a vocation that requires patience, love, caring, solidarity … but mainly the right tools. Care Giver’s understand that lifting people with disabilities is highly challenging and demanding. Designed to allow you to rise up from the bed each day with Dignity. Yes, BodyUp Evolution is made out of stainless steel. It’s water proof. It doubles as a sofa on wheels. The comfort cushion provides additional ease of use. Compatible with most types of sedan cars. Easy access increases the mobility. How do I decide which model of MeCare’s BodyUp Evolution to choose? The body weight of the Patient will determine the Model to select. 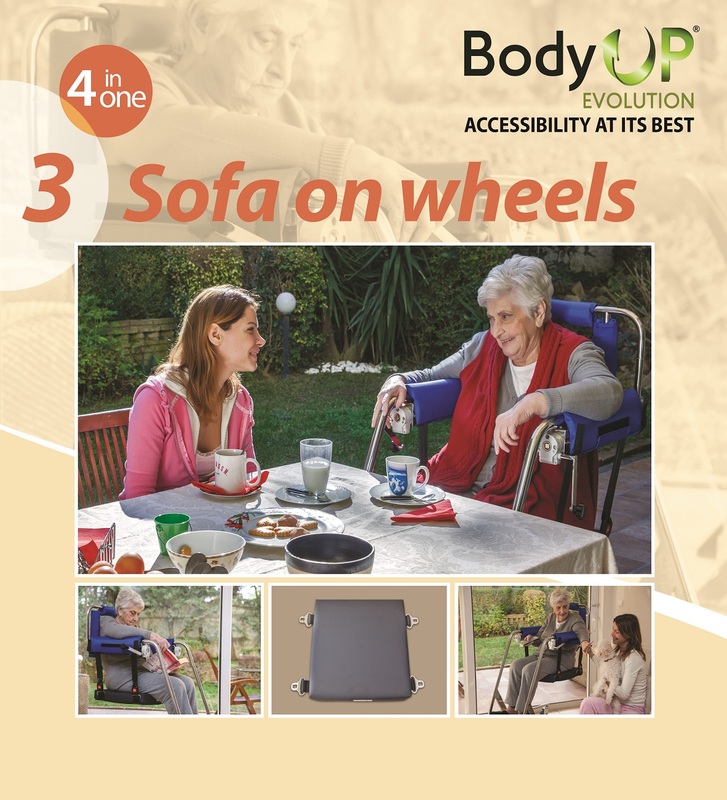 How much ground clearance is required for the bed or sofa to effectively use the MeCare’s BodyUp Evolution wheel chair? The minimum ground clearance required to effectively use BU-900 is 13 cm. The minimum ground clearance required to effectively use BU-1000 is 16 cm. The minimum ground clearance required to effectively use BU-2000 is 17 cm. What accessories are available for BodyUp Evolution? 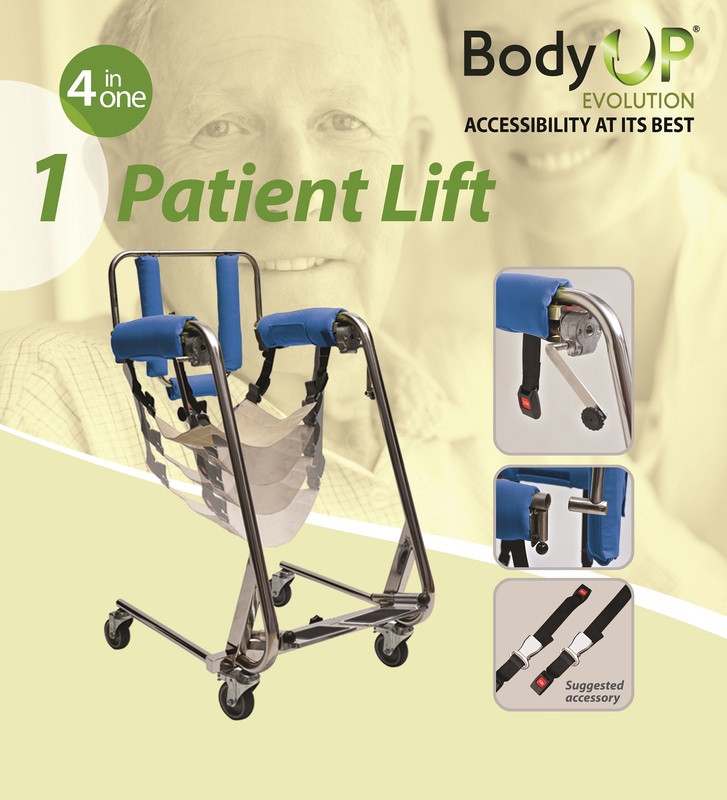 My family has acquired Body Up Evolution for over a year and we are using it in order to be able to lift my mother from the bed and move her to any room she desires, including her personal wheelchair.It has served us well! Our doctor (pathologist) believes that if we didn’t have Body Up Evolution, my mother might not have been alive today… and I agree. I really can’t say enough about how miraculous the BodyUp is! !I’d never have believed that just one device could take the place of all of the other mobility aids I’ve had to use through the years.For the past few years, I’ve taken care of my Dad who has Parkinson’s and there is no end to the equipment needed just to get around town and do the simplest of things.I am so happy to say that once I got the BodyUp I was able to do away with almost all of it! Thank you!! !